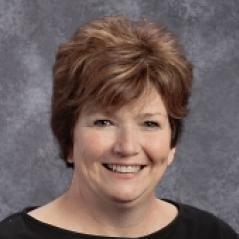 Archbishop Ryan High School is very pleased to announce that Pam McPeak '78 has accepted the position of Resource Room Coordinator in the Bonaventure Program. Pam has been Admissions Director at Ryan since September of 2008, and has had strong ties to the community her entire life. Pam O'Halloran McPeak grew up in Christ The King Parish. She went to Archbishop Ryan High School for Girls and graduated as Class President in 1978. She has remained local, raising her five children and supporting the Morrell neighborhood for years. Over the past ten years, the first contact for students at Archbishop Ryan has been Pam McPeak. She has welcomed them, and set them on their journey at Ryan. Pam is extremely excited about this opportunity to work more closely with students, and has always been passionate about Bonaventure. Her work as Admissions Director has contributed to the growth of the Bonaventure Program at Ryan. Pam adds, "I've always told students that the faculty and staff at Archbishop Ryan has one job... helping you succeed in life. I'm looking forward to assisting students in a more specific way. I believe in them!" Join us in wishing Pam success in this new, important position at Archbishop Ryan! The Bonaventure Program is not a school within a school. Instead, the Bonaventure Program supplements Archbishop Ryan's exiting curriculum. All of the students have a regular roster and come in for a learning strategies class once a day. In addition to their learning strategies class, the Bonaventure Program teachers touch base with each student's academic teachers to find out what support each student needs to be successful, and supervises test for all of their students' classes in the Bonaventure Center.